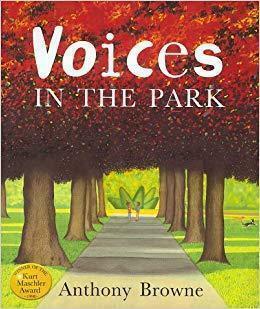 Children have been reading Voices in the Park by Anthony Browne. 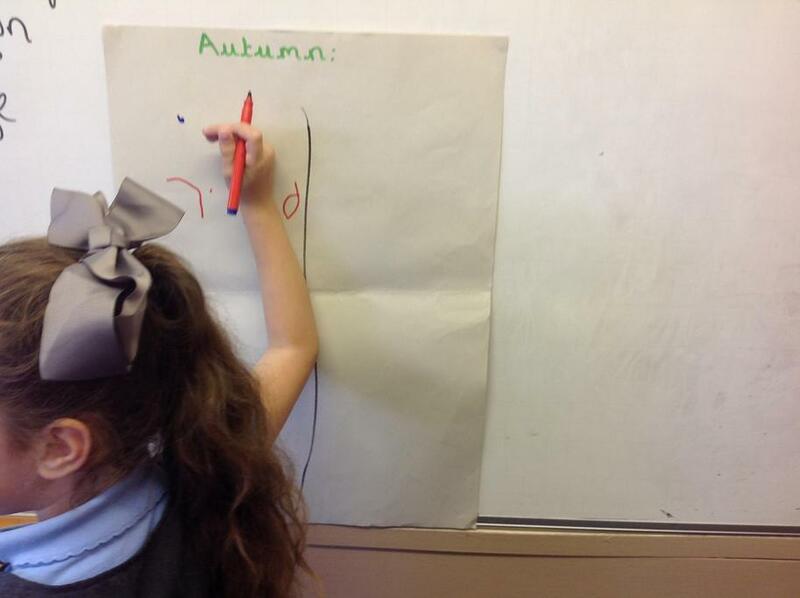 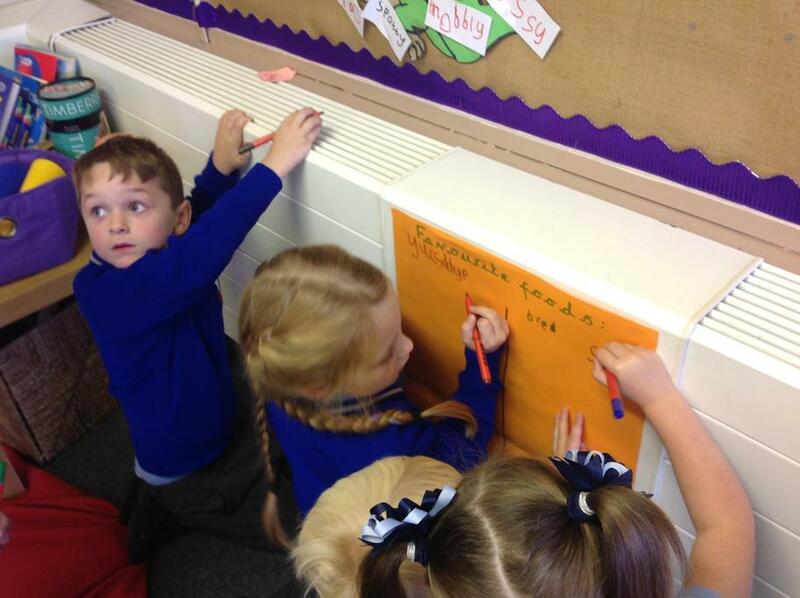 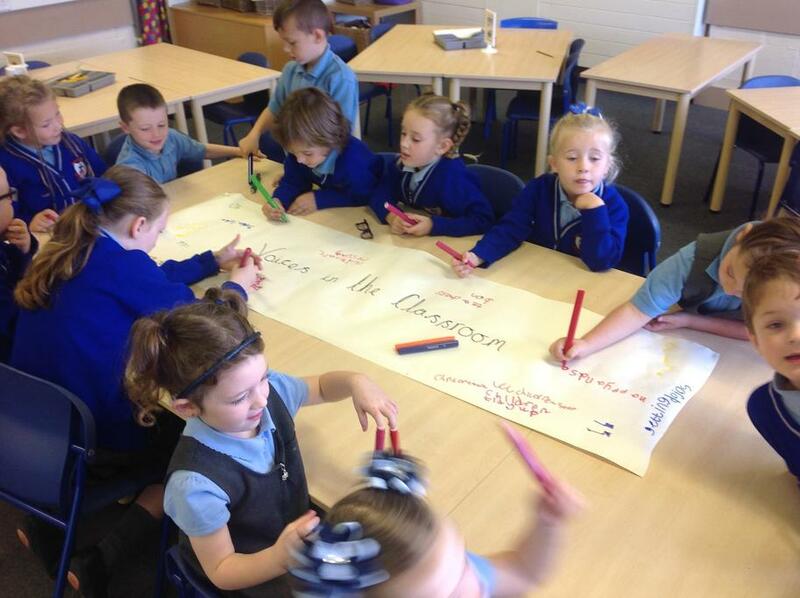 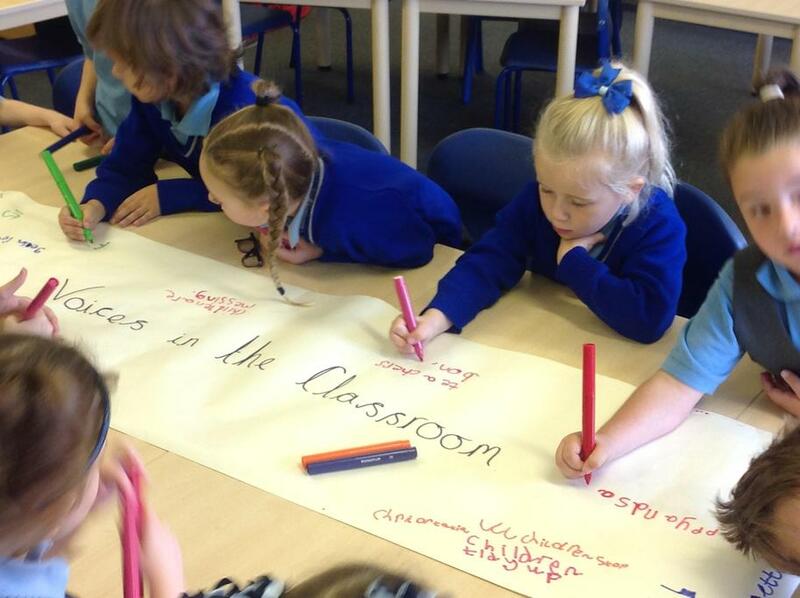 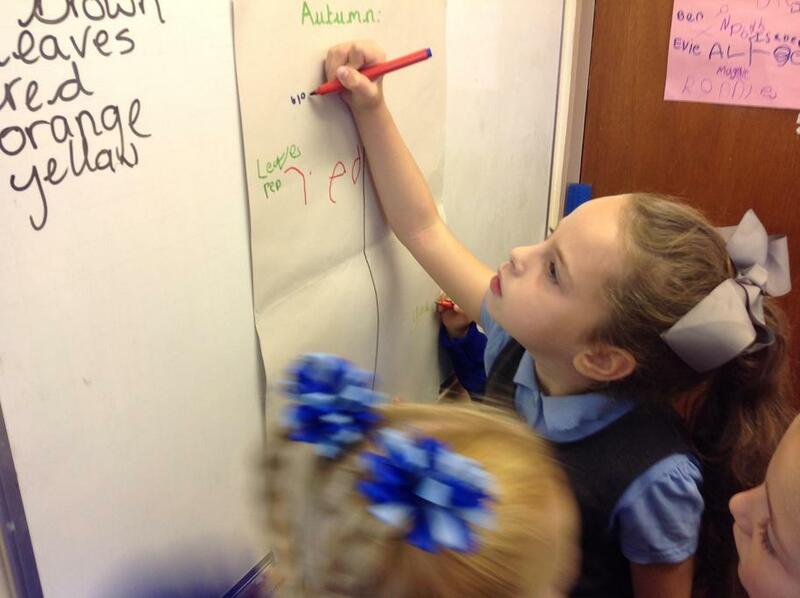 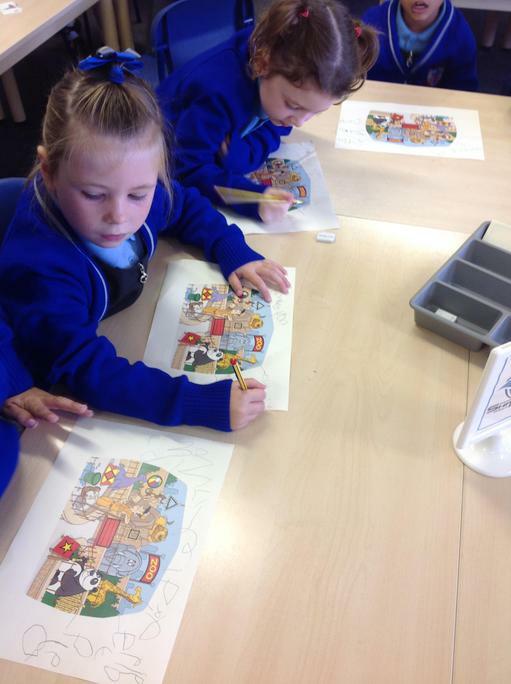 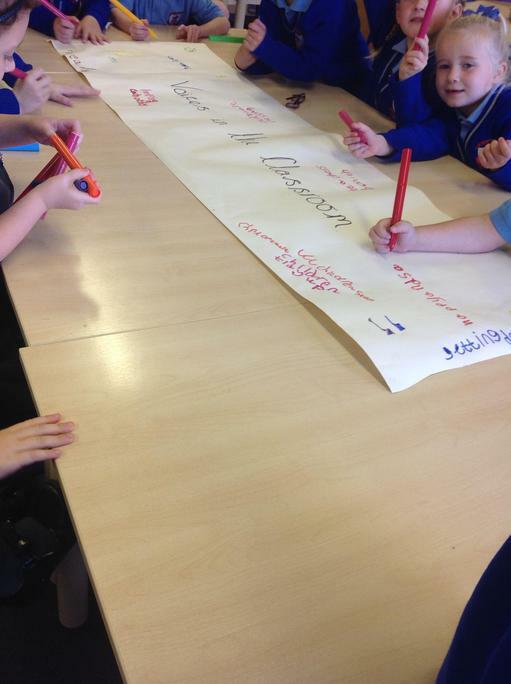 Children have planned and written their own story called "Voices in the Classroom". 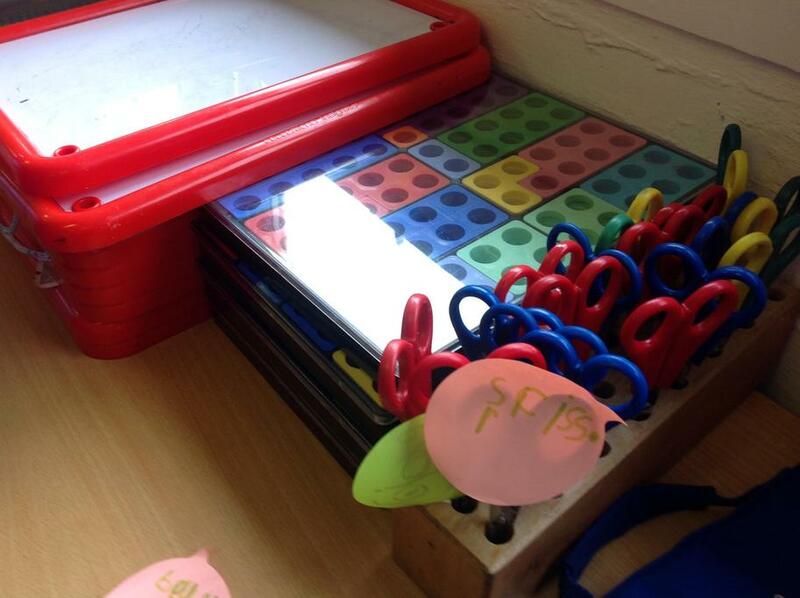 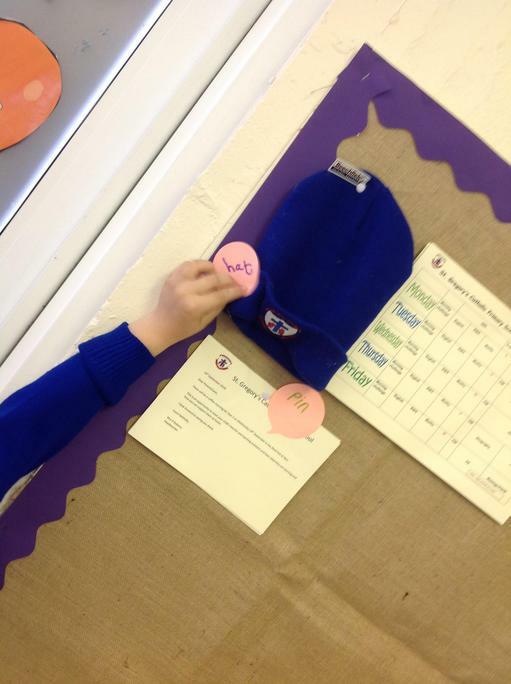 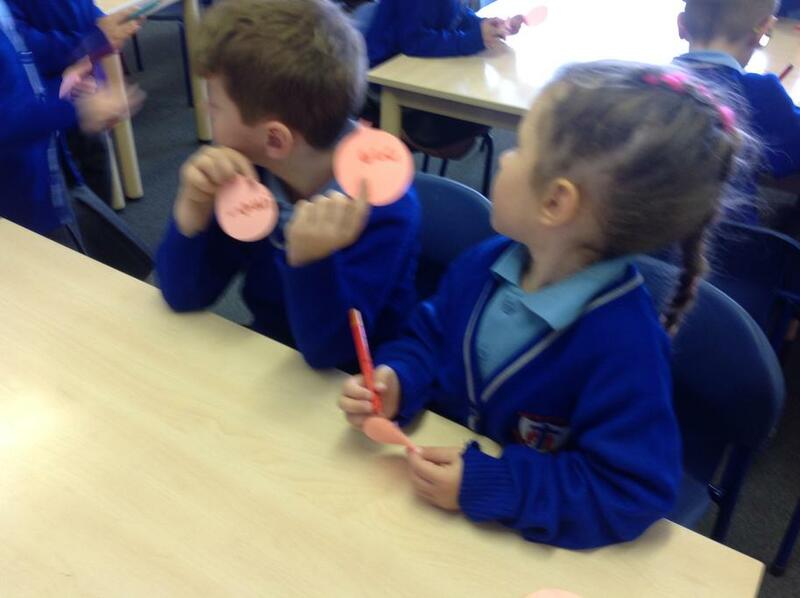 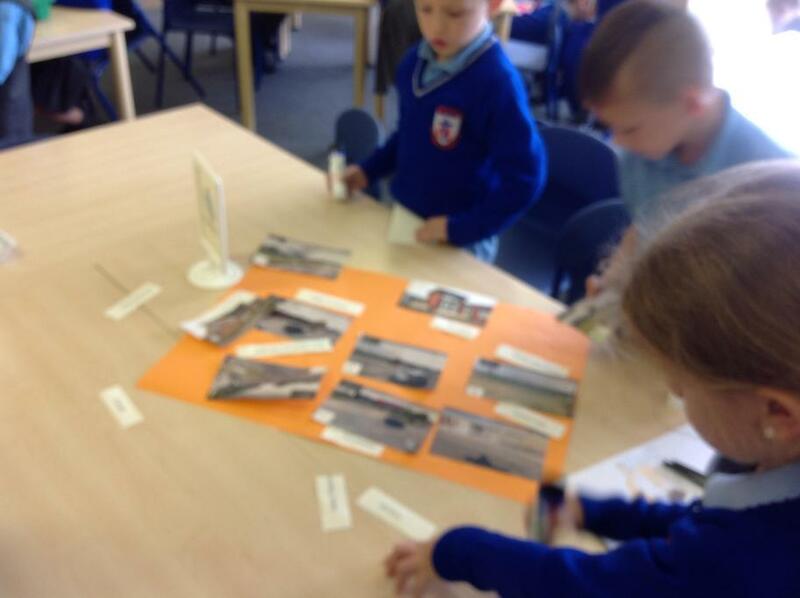 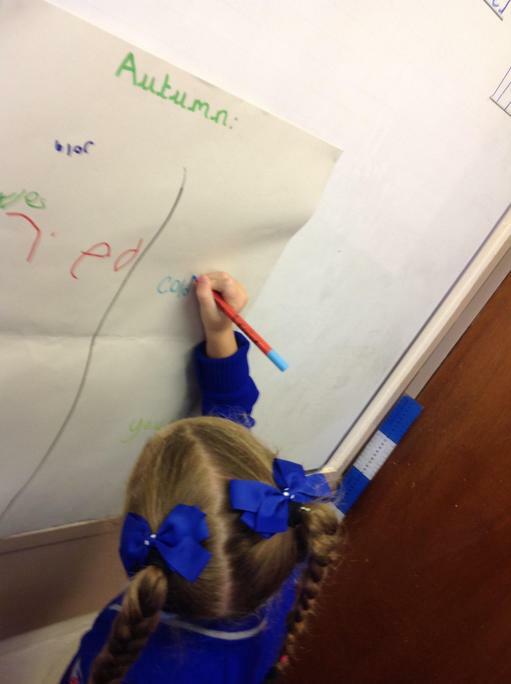 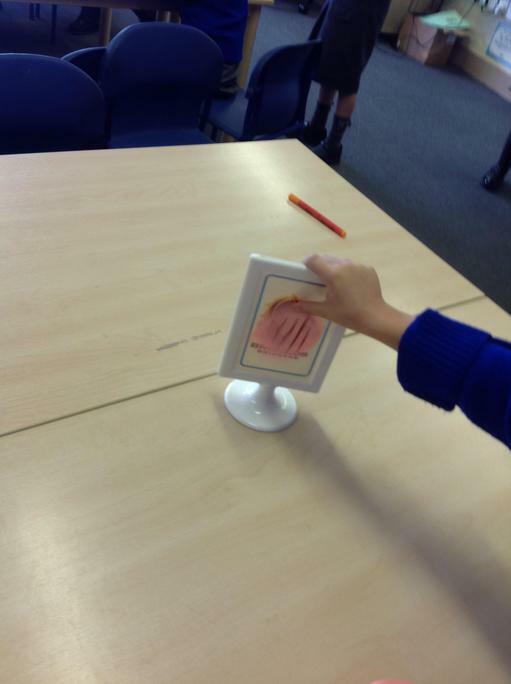 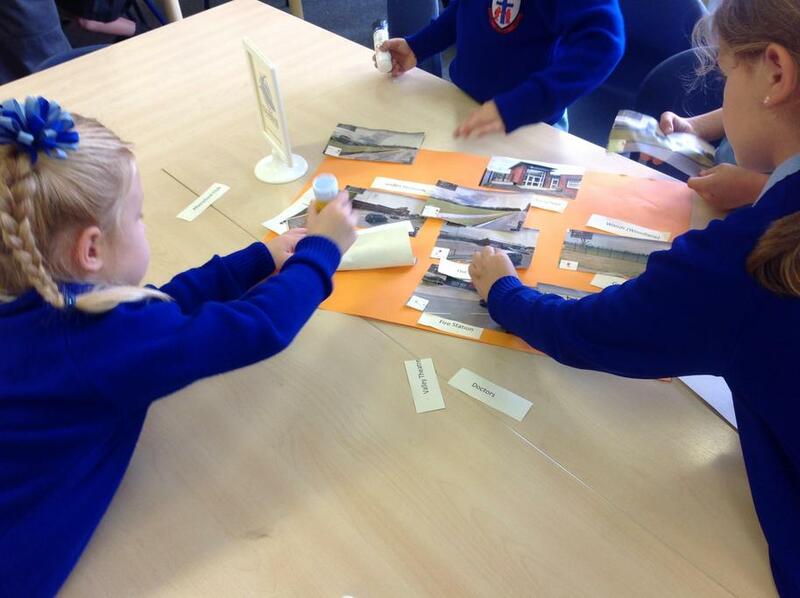 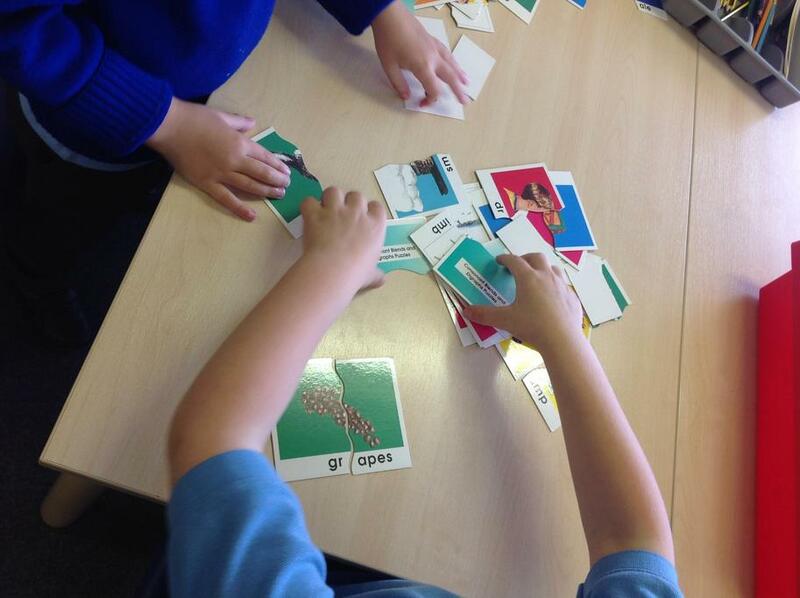 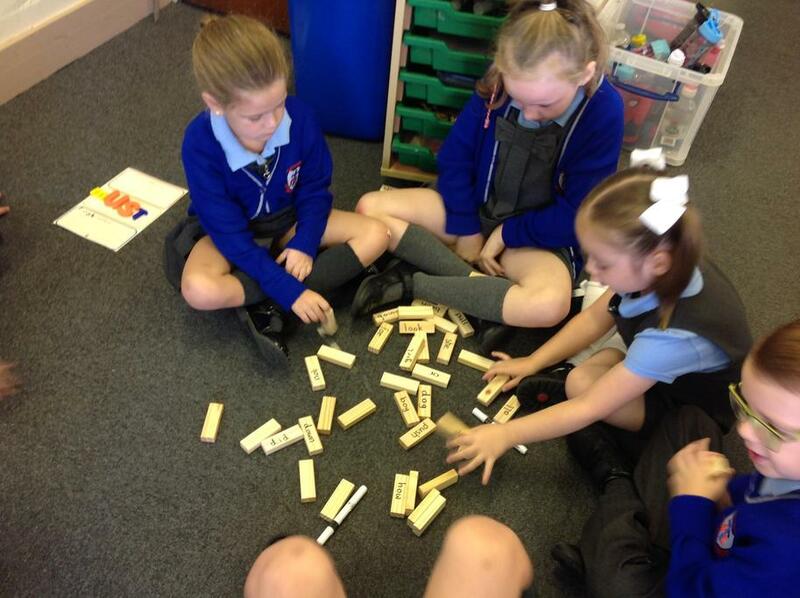 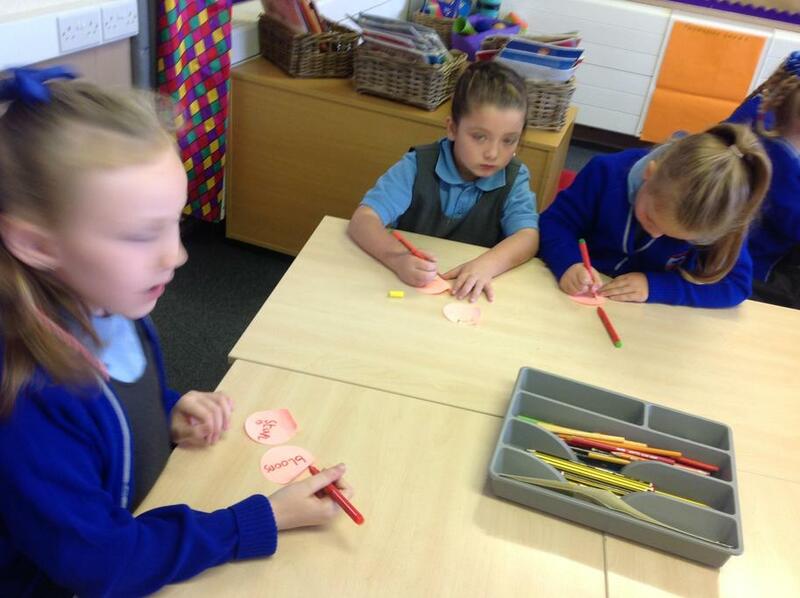 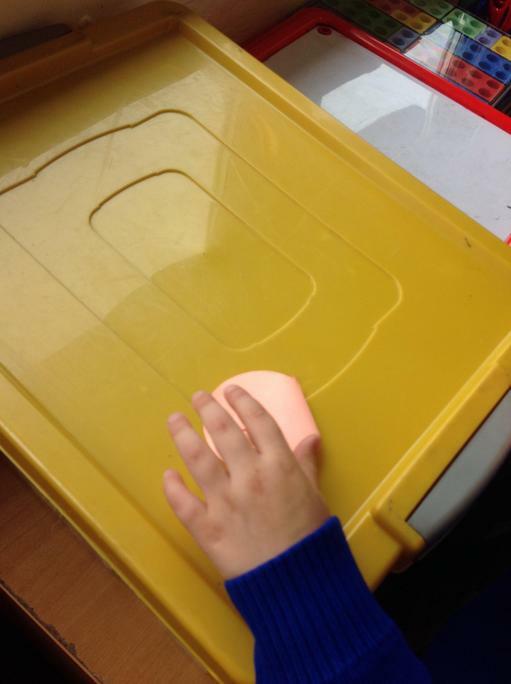 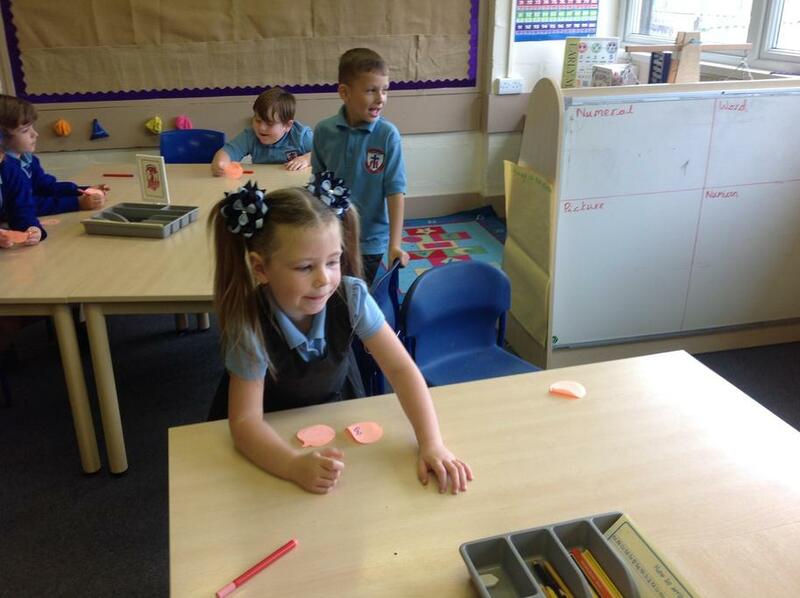 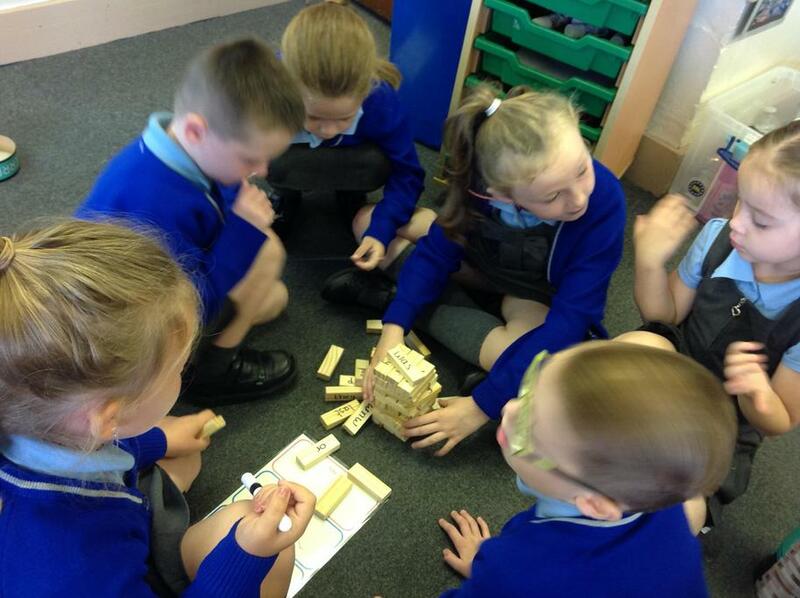 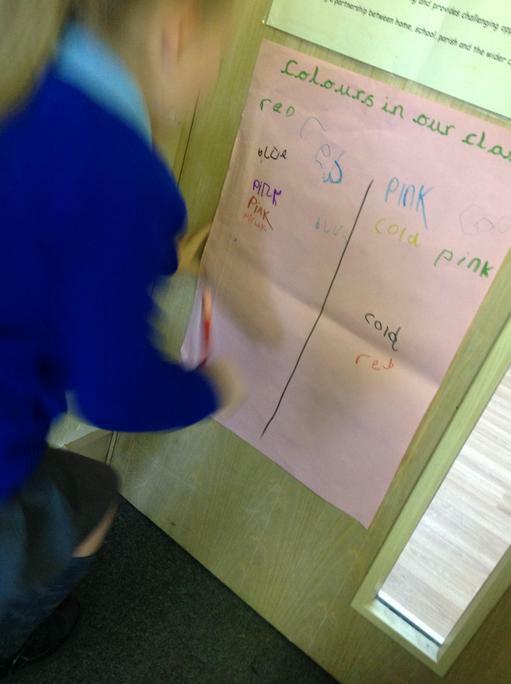 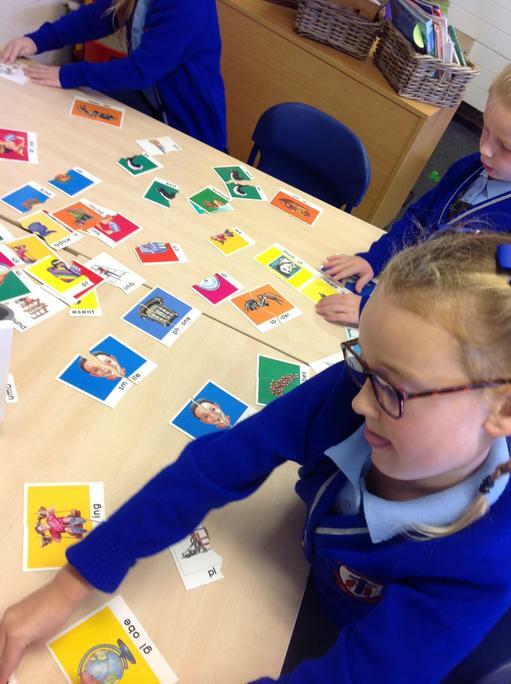 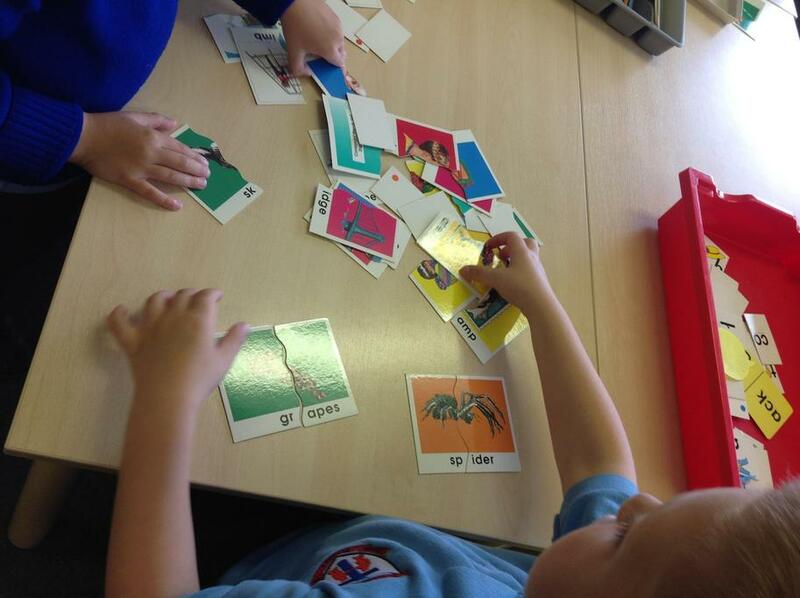 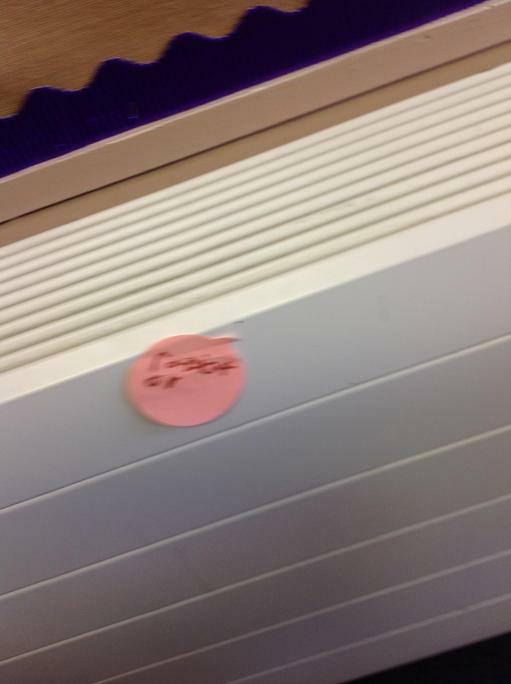 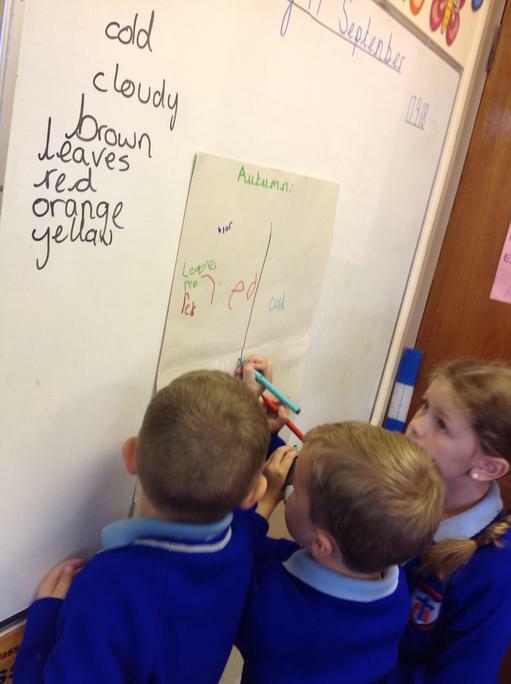 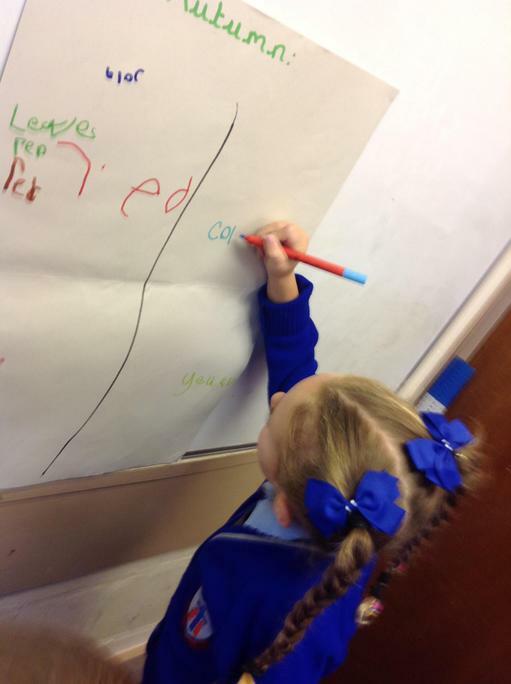 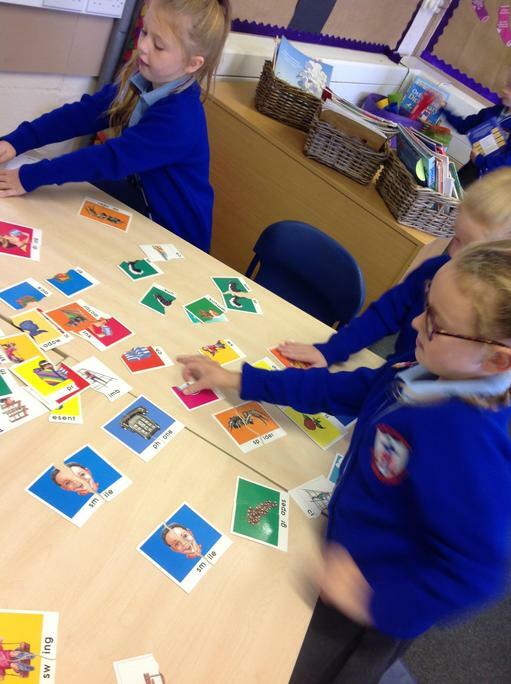 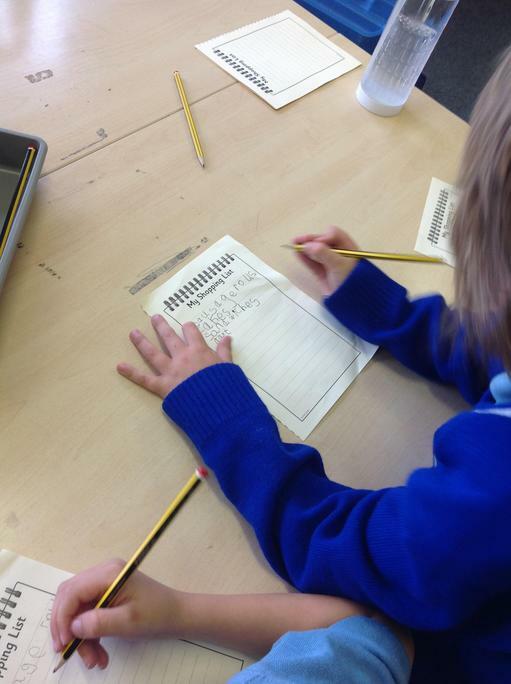 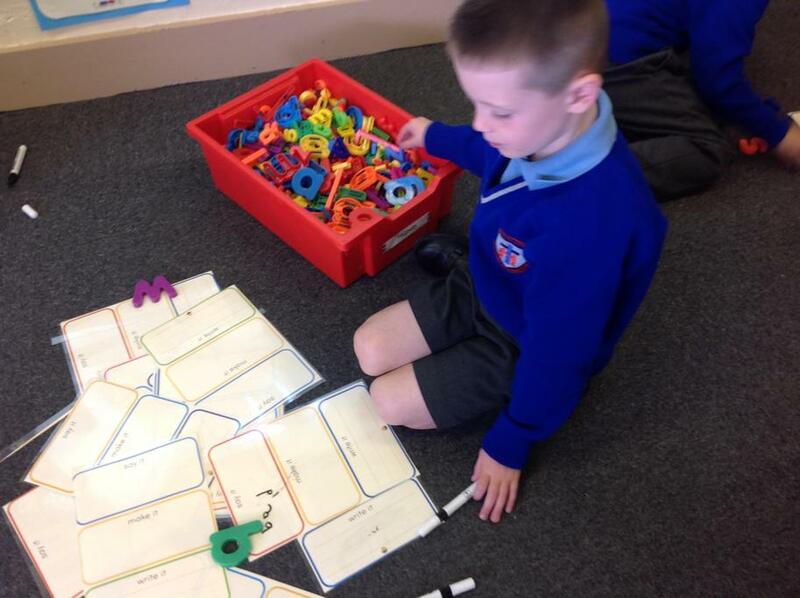 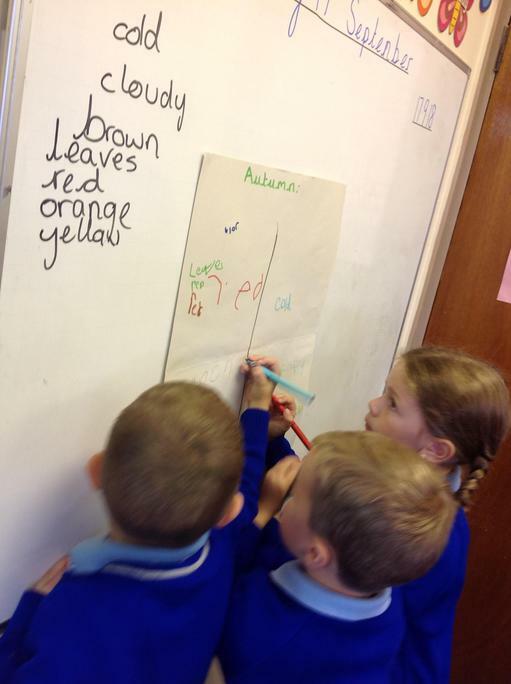 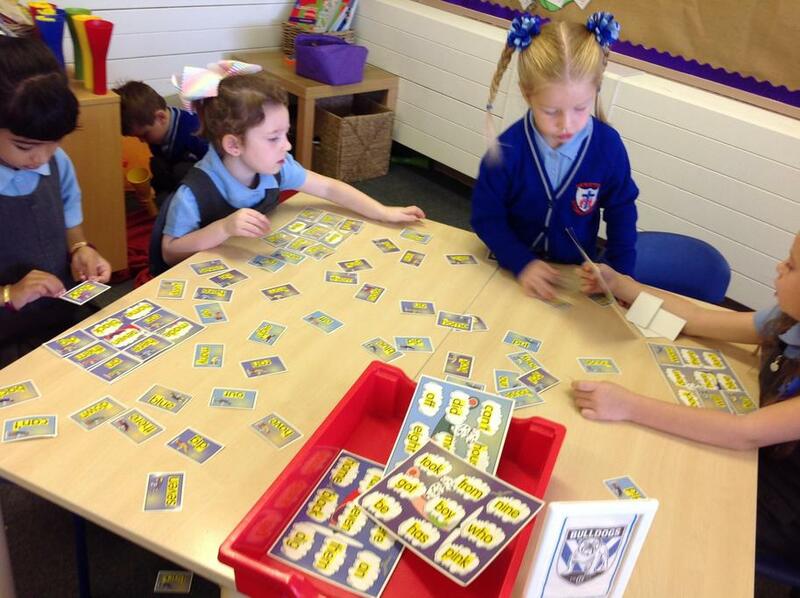 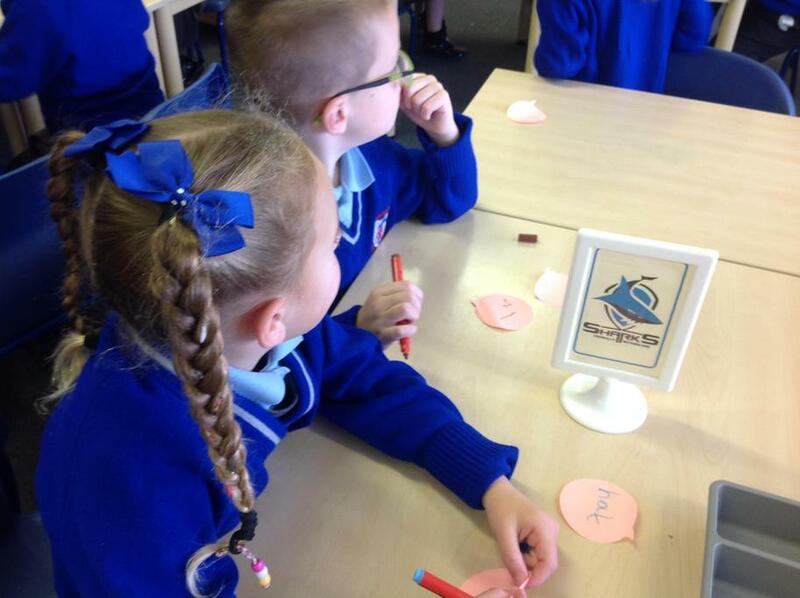 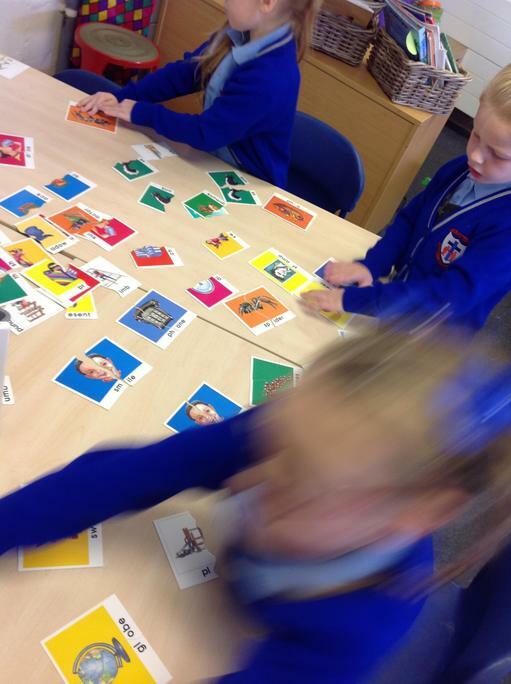 In English, we have been learning how to make labels, lists and captions. 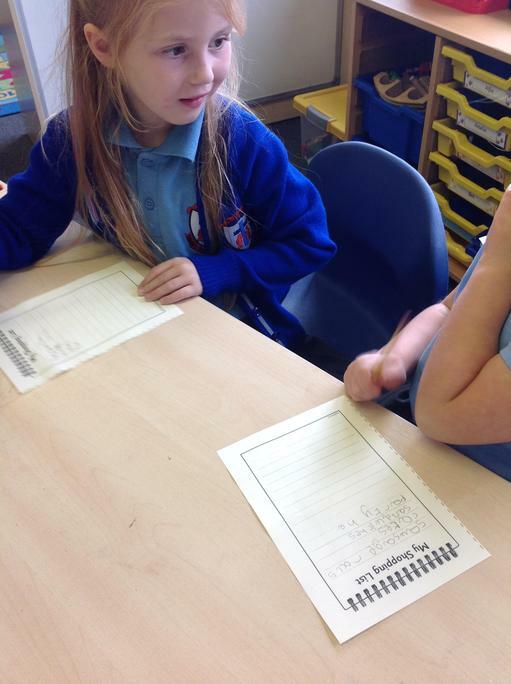 Making predictions about some fantasy characters from our new book and working creatively in groups. 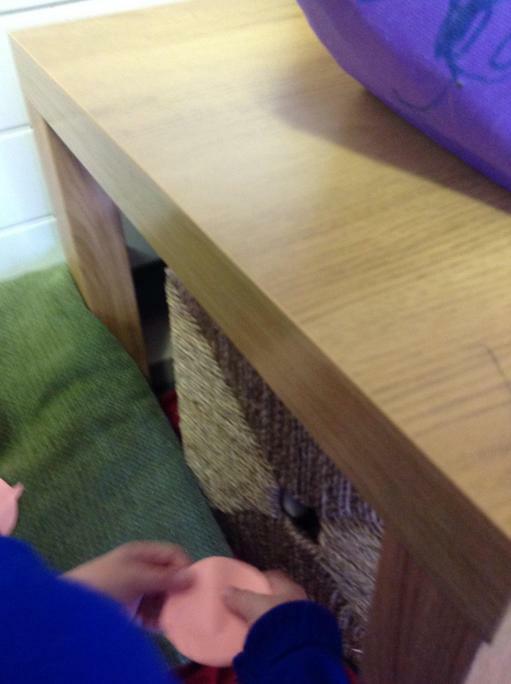 It has been reported that Finn McCool lied about the fight that took places between him and Bennandoner! 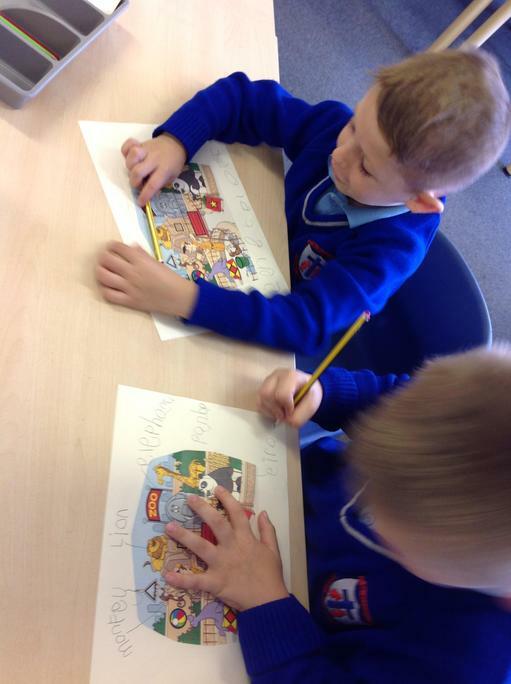 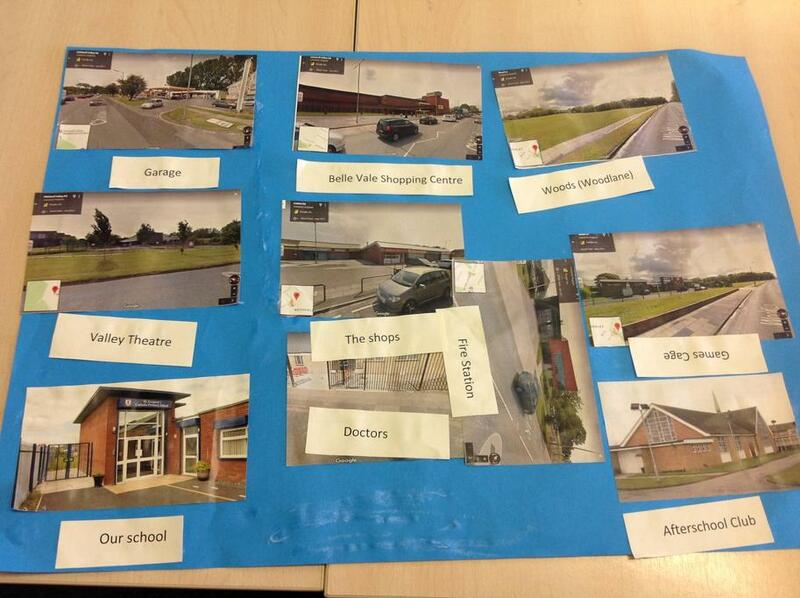 Year 1 have been reporting their findings on the true events! 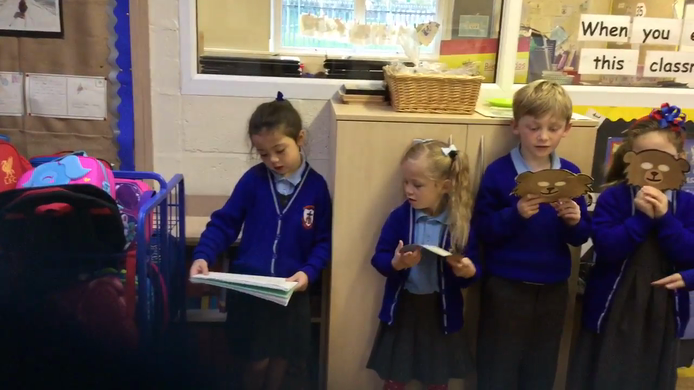 What a fantastic world book day! 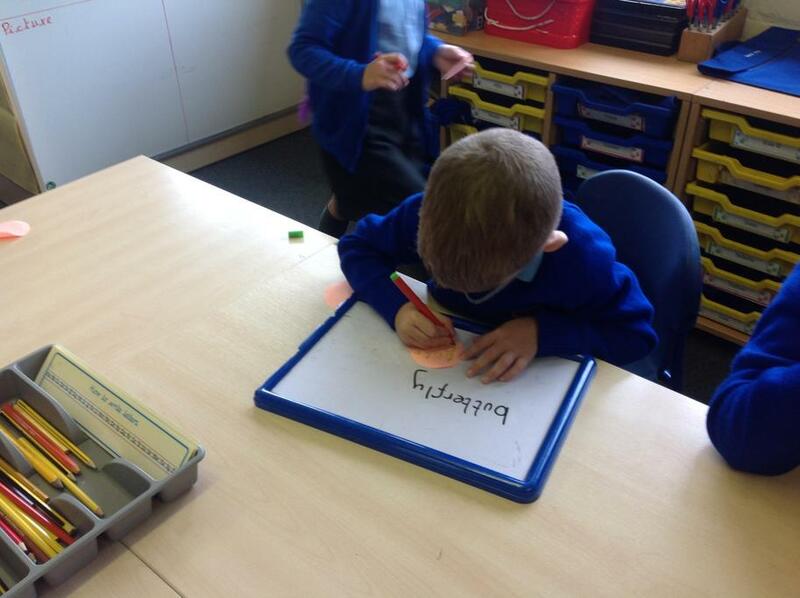 Practicing our red words in the sand. 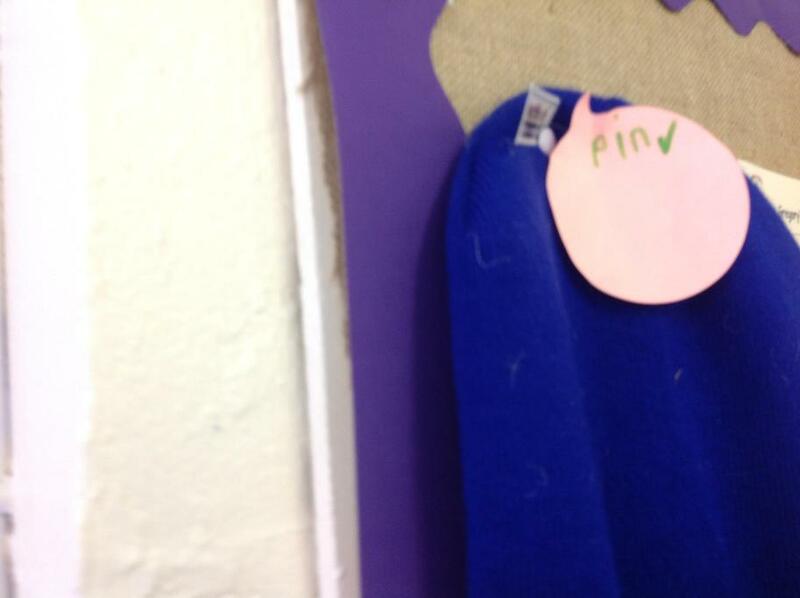 Finn McCool's boot has arrived in year 1... 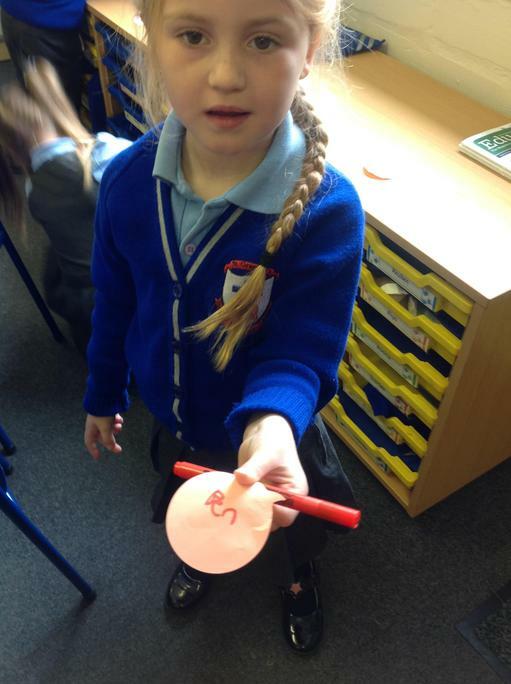 I don't think it fits Miss McBride! 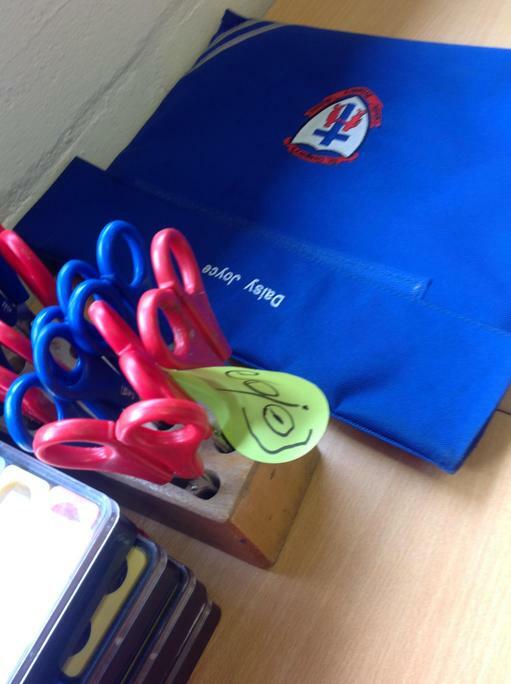 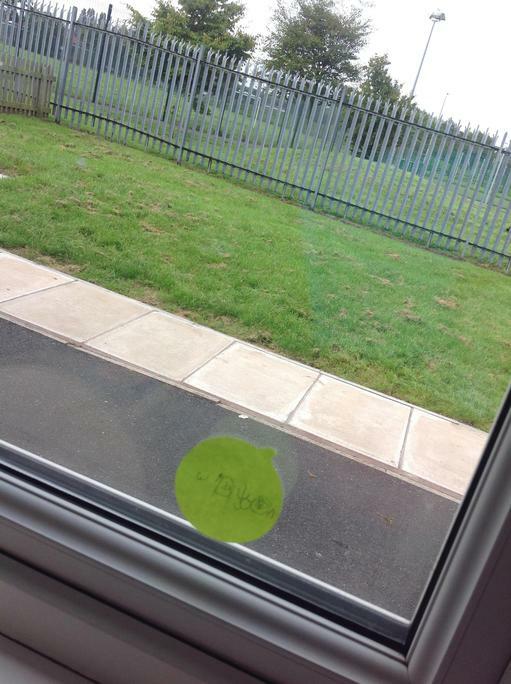 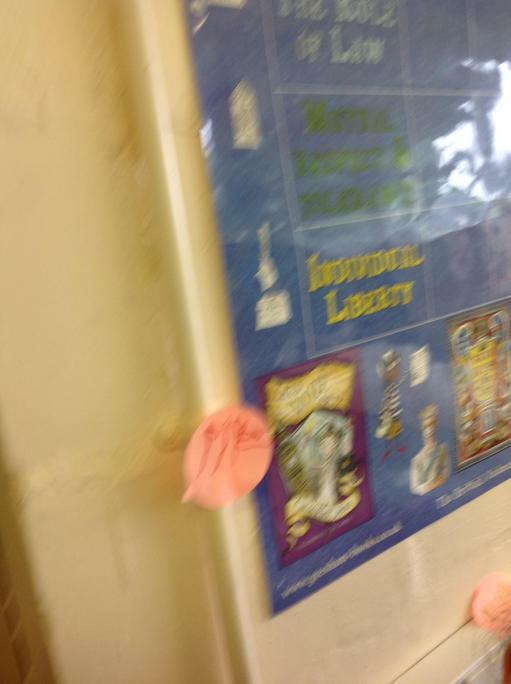 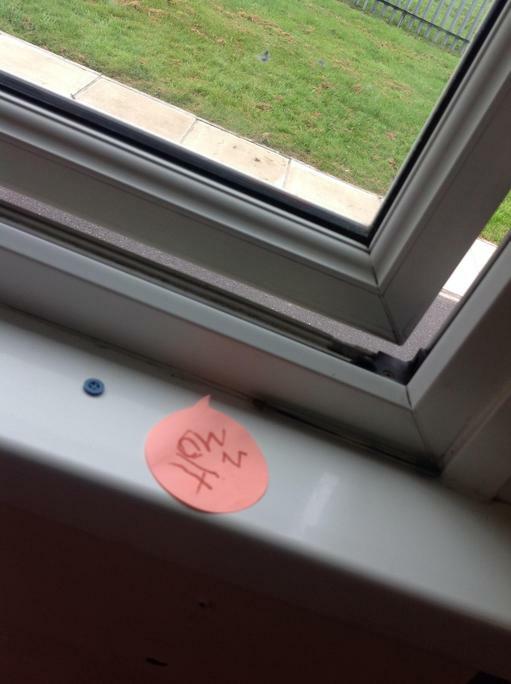 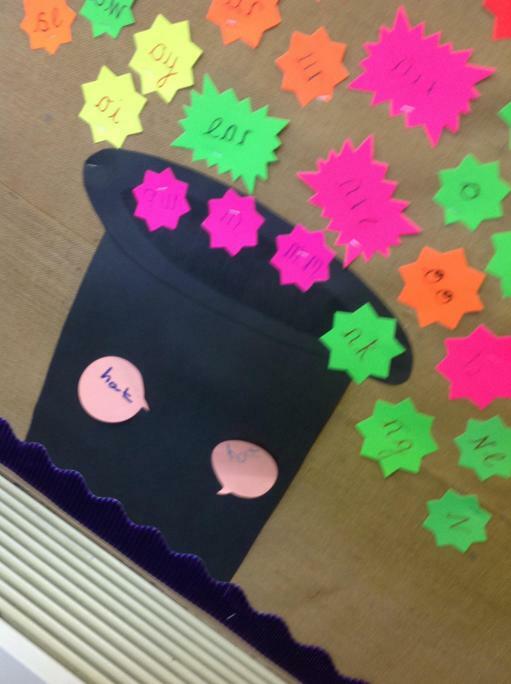 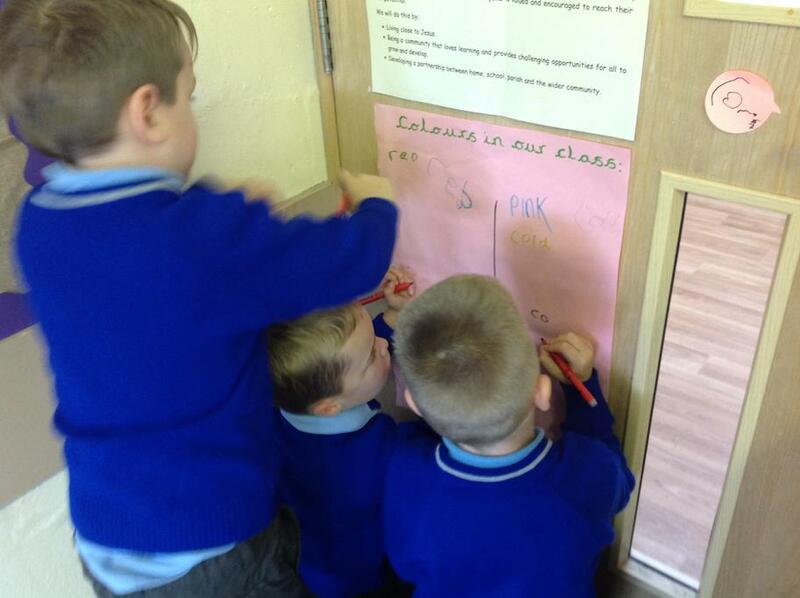 Year 1 fairies have sent us a task! 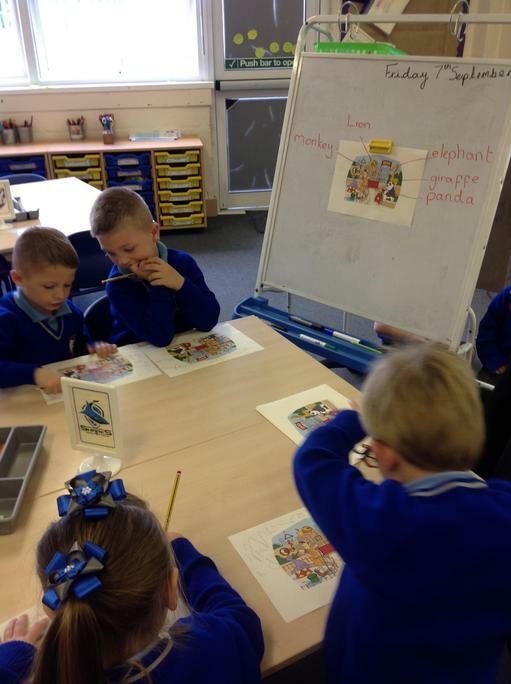 Using our own instructions to make some yummy Rice Krispie cakes! 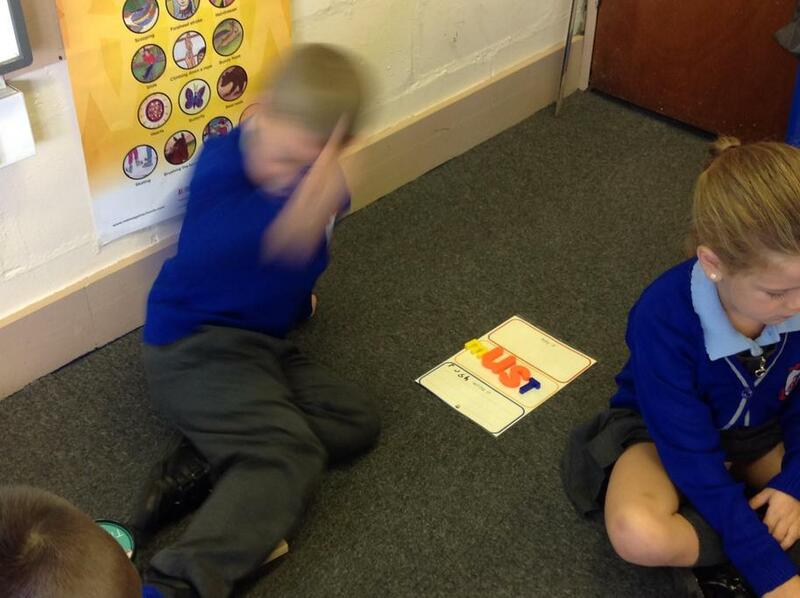 Some of our year 1 children using their story maps to act out and re tell peace at last. 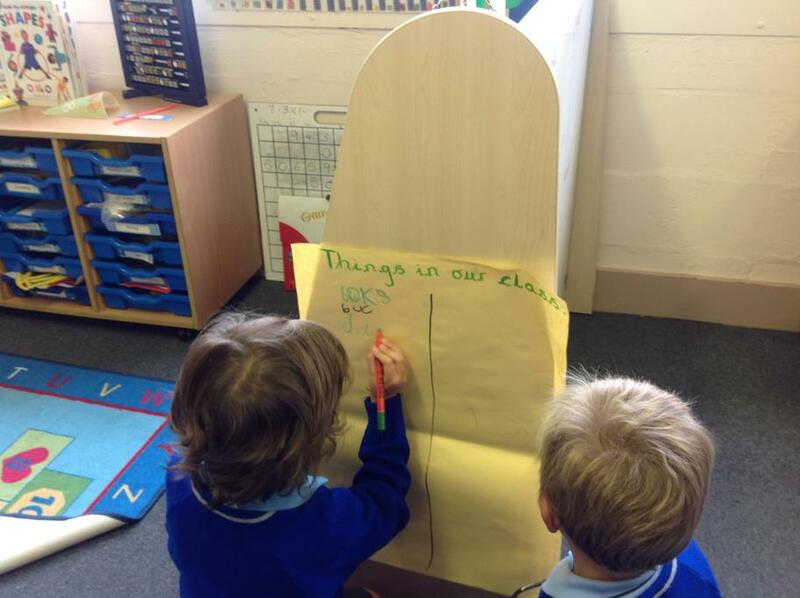 We went on a bear hunt! 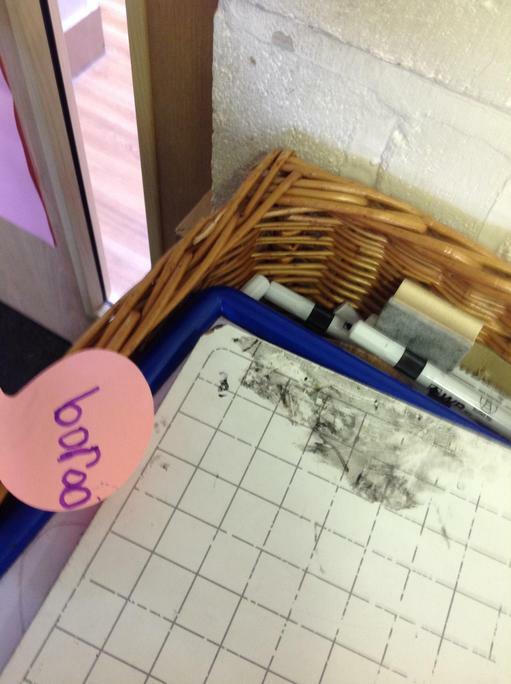 Can you spot any bears? 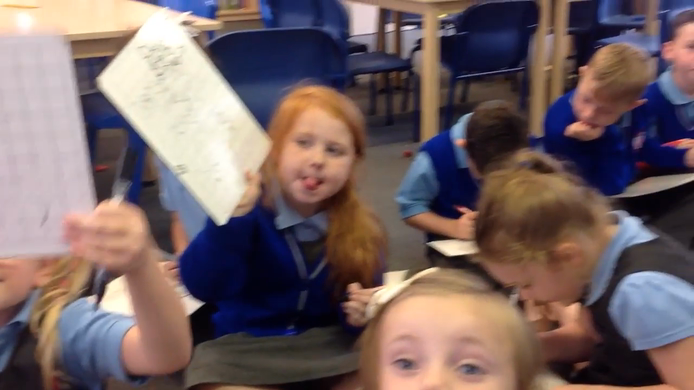 We can portray a change in character emotion through expression. 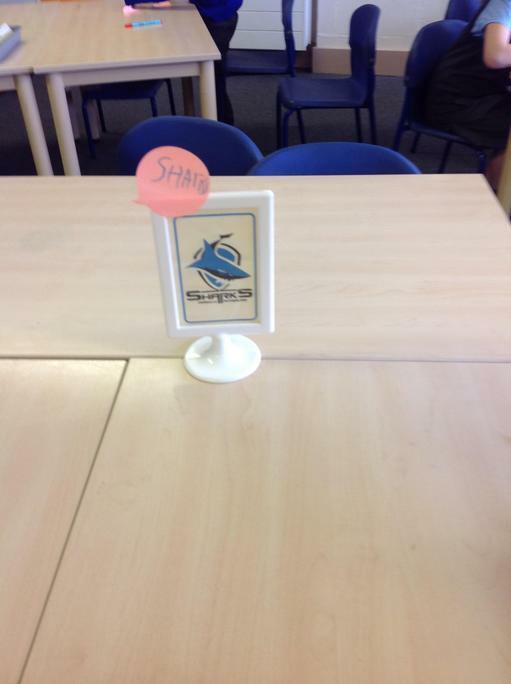 All posts below from academic year 2016-2017. 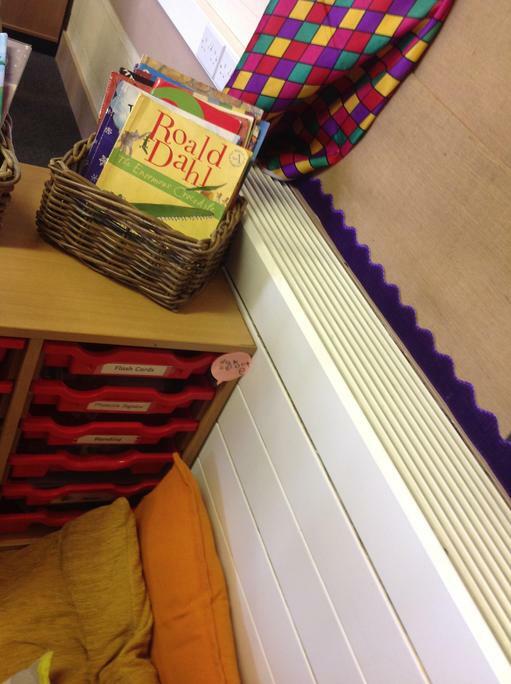 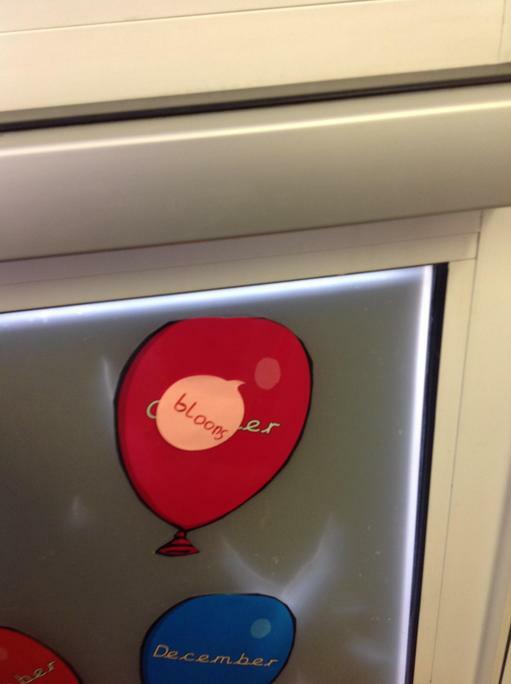 We love enjoying a good book in our cosy reading corner! 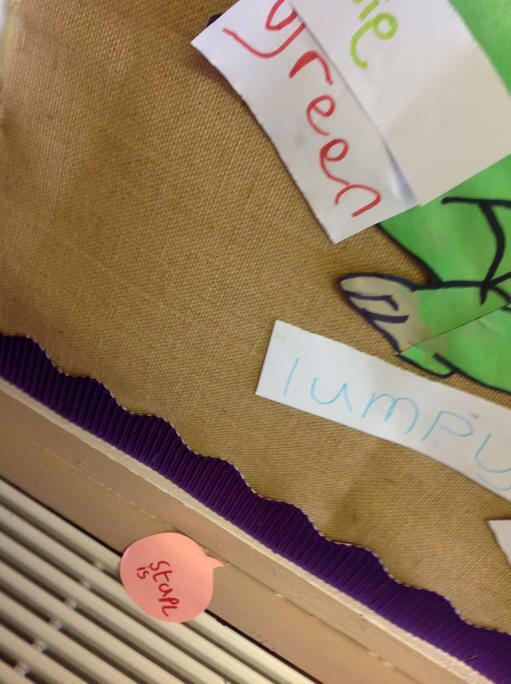 We did really well with our spellings! 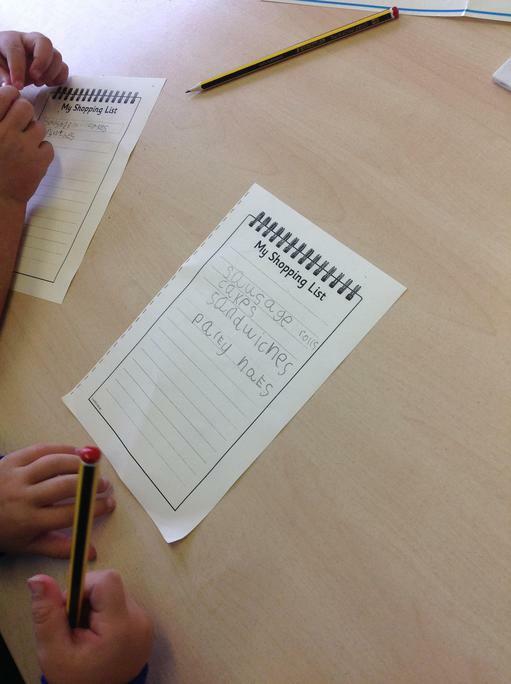 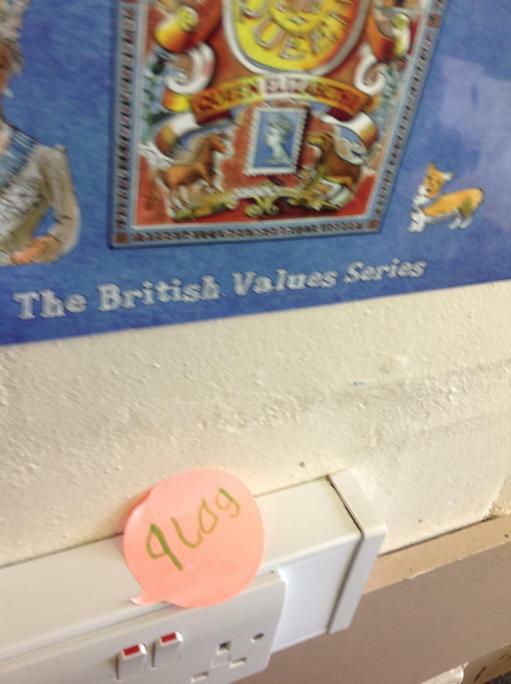 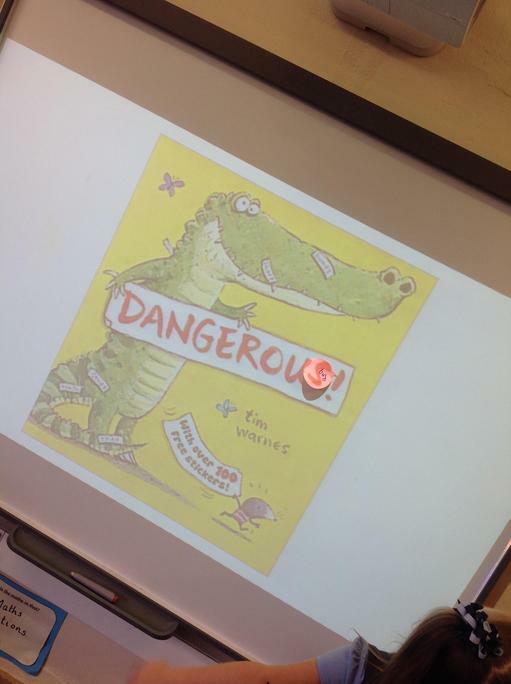 Today we used a dictionary for our English work.